Some people’s hair growth rate is naturally higher than others, but everyone can help encourage the growth of their hair with these top tips..
1. Healthy Hair: This is the most important tip of all! To grow your hair it needs to be healthy. If you’ve had a collision with a bottle of bleach and snapped the ends of your hair then you can’t ignore its condition and will need to have the damaged hair cut. This may seem like one step forward, two steps back but it will help you get the luscious long hair you crave for in the long run. 2. Quality Shampoo & Conditioner – To maintain healthy hair and encourage growth you need to keep it in tip-top condition and therefore need to invest in a good shampoo and conditioner suited to your hair. If your hair is damaged, or has bleach / highlights in it then we recommend Redken’s Extreme Hair range. Other shampoo and conditioners we recommend are Colour Extend, All Soft and Diamond Oil – all by Redken, and the Discipline range of shampoo and conditioners from Kerastase. To find out which products would most suit your hair pop into the salon and one of the team will advise you one what’s best for you. 3. Deep Conditioning Treatments – To condition your hair from the inside-out and really nourish and protect it you need to have regular in-salon treatments. Once every month would be ideal, but depending on your hair type and day-to-day routine you may be able to get away with once every six weeks. One of our favourite treatments at Aesthetics Solihull is Kerastase Fusio-Dose. It’s a tailor-made solution using highly concentrated formulas blended together right before application to achieve maximum results and to provide your hair with exactly what it needs – whether it be repair, nutrition, colour protection or density. The results really are amazing and you can continue to look after your hair at home with the Kerastase range of shampoos, conditioners and styling products. 4. Protection – They say ‘prevention is better than cure’ so to prevent your hair from becoming damaged and exposed to heat you need to protect it. We recommend you apply a leave-in heat-protection spray to damp hair before blow-drying, such as Redken Satinwear Ultimate Blow-Dry lotion, as well as applying a protective spray such as ghd’s straight and smooth spray or ghd’s curl hold spray before you style with heated tools. 5. Regular trims – Regular trims will keep your ends healthy and in good condition, so that as your hair grows the ends continue to stay strong and healthy. A regular trim should be done every 6-8 weeks. Make sure your hairdresser knows you’re growing it and that way they’ll take off only what they need too. However, don’t forget that as your hair does grow it can look shapeless, flat and lack-lustre, which can put you off growing it. A good trim can put life back into your hair, without taking away length. A good hairdresser knows how to improve the overall look of your hair, so if they recommend taking off a little bit more than you were hoping there’s going to be a reason and sometimes taking a little bit of length off here, will result in more volume there. Remember they’re the expert and you need to strike a balance. 6. Diet – Just like our skin and organs our hair requires key nutrients to be healthy and protein is top of the list. Hair is made from protein so ensuring you have enough protein in your diet is crucial for strong, healthy hair. Other nutrients to include in your diet are iron, vitamin C, Biotin, Omega 3 and zinc. A balanced healthy diet of meat, fish, fruit and vegetables will incorporate most of these nutrients helping you achieve healthy hair. 7. Vitamins – Even with good intentions our busy lives today can make it difficult to eat healthily and get the right nutrients, so if you find it’s difficult then look at vitamin supplements. A popular one for people growing their hair is B-Complex Vitamins as these help restore shine and thickness to strands. The best food sources of Vitamin B complex are whole grains, eggs, avocados and legumes. 8. Great Lengths Hair Extensions – If you’re losing patience then why not try Great Lengths Hair Extensions? The superb quality hair gives you the hair you’ve always dreamed of while the cold bonding application system doesn’t damage your hair – even on fine hair and sensitive scalps, so when you have them properly removed your hair will be in its original condition (providing you look after your hair and the extensions as advised). 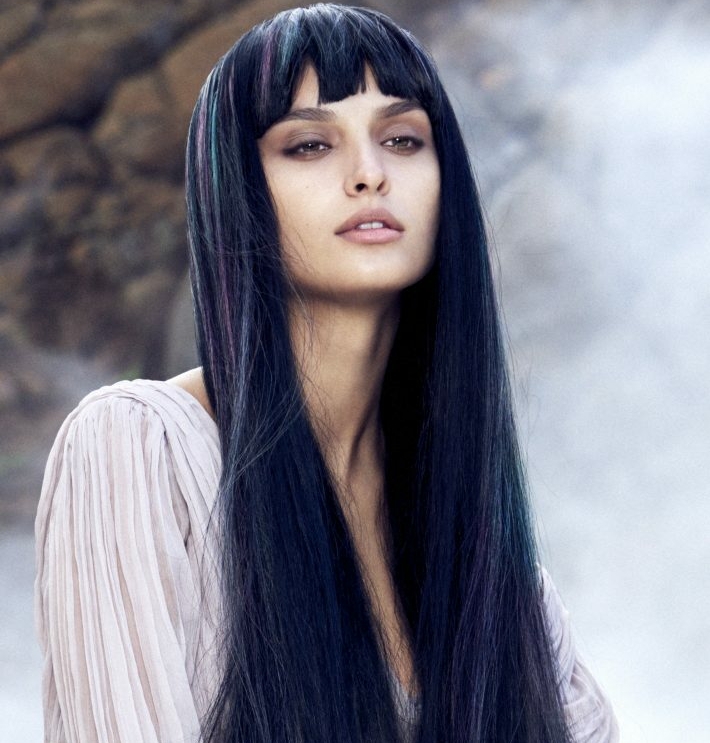 You can use Great Lengths to increase your hair length, give you volume or add in a fringe. Whatever you want it can be achieved with Great Lengths. Call the salon to book a consultation on 0121 707 8866. 9. Pump up the Volume – If you suffer from thinning hair or very fine hair you may feel that no matter how long your hair is, it never really looks or feels long because it is so thin. With Redken’s Cerafill range you can instantly get thicker, fuller looking hair. The treatment contains Cerafill System Technology that works to strengthen hair fibres to prevent breakage and energise hair follicles to re-densify hair. The shampoo, conditioner and Dense FX treatment expands fibres that increases the hair strand diameter by 9% to create fullness and density. Perfect for all hair types, the thickening treatment nourishes to promote healthy hair and scalp. It’s a win-win all round. 10. Keep it Short & Sweet – Some people are much more suited to short hair styles, whether it be because of your face shape, hair type or daily routine. So if you’ve been struggling to grow your hair have a think about why you want long hair, what you think you’ll do with it when you have it, how your hair will be when it’s long etc. Change your colour to keep it fresh or have strategically placed Great Lengths to create texture. Don’t forget simply changing your make-up and parting can make a difference to your overall look. So what we’re saying is, don’t feel you have to grow your hair because other people have long luscious locks. Be you and do what suits you or what you want to do, but just make sure you keep your hair in tip-top condition.